Our annual UK Short Breaks are typically four nights and take place during June and July. Our theme is Holy Islands and we invite you to join us in Northumbria or Scotland. As we walk in the footsteps of the Northern Saints, our base is the university town of Durham and the highlight is a traditional pilgrim walk across the sands to the island of Lindisfarne. Further north we offer a short break staying on the island of Mull and visiting Iona, the Scottish home of Celtic Christianity. View some of the highlights you can see on a visit to Iona. We sail from Oban to the Isle of Mull to stay in a wonderful coastal location. 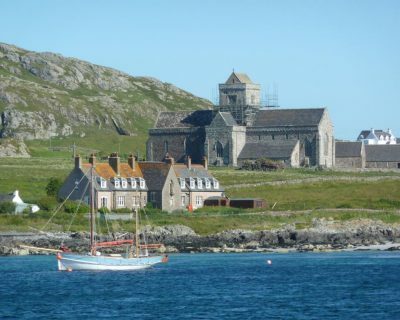 From Mull we visit Iona where we spend a whole day. 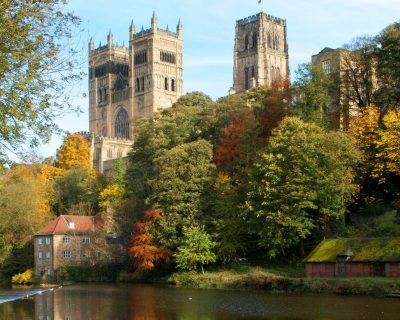 This UK short break holiday continues to be popular, and we are now offering our sixth trip to Northumbria summer 2019.